Don’t underestimate us. No project is too intricate or too big for McKee Construction Co. Recently we just completed our newest project. We are so proud. Hello Sky Power Sports. This company that is full of powersports enthusiasts in located in the same location as we are; near Lake Mary and Sanford, Florida. We are the number one location for commercial general contractor Lake Mary! Contact us today! 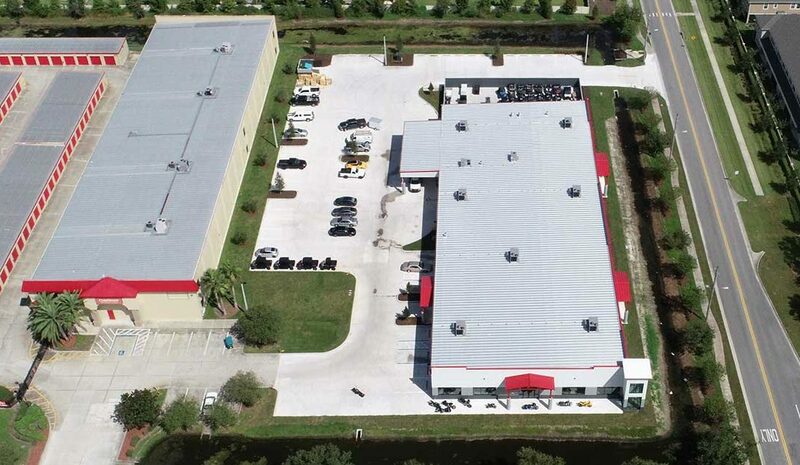 Since 1973, we have shown Florida what it takes to be a contractor entirely dedicated to construction. Here at our company, Our in-house Design Team can configure your building to fit your needs. Our construction team, comprised of the highly knowledgeable craftsman, along with experienced superintendents will oversee your project from concept to completion. Our contractors pay very close attention to detail and always go the extra mile to see that all jobs are finished the McKee way. Which is actually, the only way. A commercial general contractor Lake Mary is the perfect solution for all things construction. What Is Sky Power Sports? We created a 27,755 square foot motorsports showroom, and we could not be more proud. This company is a powersports dealership that offers the best in new and pre-owned motorcycles and other powersports vehicles. At Sky Powersports Sanford, they value the opportunity to create a long-term relationship with their customers, and they do that by making sure to exceed your expectations. That is not all; they also have classes for those who do not know how to ride motorcycles. For those who need it, there are also various financing opportunities so that you can fulfill your dream of getting a motorcycle. It is this what makes them one of the comprehensive Powersports dealers in Florida. From the groundbreaking ceremony in February of this year to final completion and owner occupancy in September, Joe Nicholas – Project Manager/Senior estimator and Ben Jack – Superintendent worked tirelessly to ensure another quality design-build by McKee Construction Company. This showroom is complete with tilt wall construction. It has a pre-engineered metal roof system. Be sure to check it out today and see for yourself. Our general contractors can do any project. The shop is located at 3710 West 1st Street in Sanford, Florida. We at McKee Construction Co. are incredibly proud to have completed constructing the new location of Sky Powersports. After months of work, it is exciting to see this project alive and ready for business. This has been a point of pride for all of us at McKee Construction Co. as Sky Powersports is such a respected company in Central Florida. We are a commercial general contractor Lake Mary and Sanford depends on. We build everything from Power Sport showrooms to office spaces. There is no project that we can not handle. Your success is our success. There is a reason why McKee Construction Co. has earned a reputation as a “great place to work”. We plan to continue to keep that reputation. our family of knowledgeable employees is dedicated to teamwork and our desire to see every team member reach their full potential, as well as providing the highest distinction of craftsmanship and efficiency at a reasonable cost. We look forward to hearing from you. Call us today for more information. It will be the best thing you could do for your business.